The best semi-professional cameras depend on your needs. Do you need a digital camera for portraits? Landscape photography? Is it a semi-pro camera for beginners? Or, do you need a semi-pro video camera? So, many factors influence the type or brand of camera that you buy. Always check the Megapixels, AF Points, ISO Range, and FPS. Firstly, we listed semi-pro cameras that have 20-24 megapixels. Within this range, these DSLRs are well suited for different types of photography. Moreover, you need not get a camera with more than 24 megapixels unless you print large images or frequently crop your images. Are More Megapixels Better? Watch as ThioJoeTech explains. Secondly, we must pay attention to the AF Points. The more AF Points a camera has, the more precise the focus is. For low light situations, Cross-type AF points will be the right choice. Furthermore, for those of us who shoot moving objects, a camera with more AF Points serves you well. For example, the Canon EOS 80D has 45 points (cross-type). The next thing to check on your semi-professional camera is the ISO Range. Typically, the higher a camera’s ISO range, the brighter a photo will be in low-light conditions. The higher ISO produces more noise. And, while Full Frame Cameras handle this issue better than the some of APS-C’s listed here, the chances are that quality won’t be affected using any of today’s cameras. Lastly, we look to the FPS or Frames Per Second. Generally, most users can do well with 5 FPS. However, for things like wildlife photography, 7-10 FPS is what you ought to aim for. This FPS range is also good for action/sports photography. After the video, we begin the list of the best semi-professional DSLR cameras from which you can choose. This Canon semi-professional camera is perfect for all types of photography. It excels in wildlife or action/sports photography. 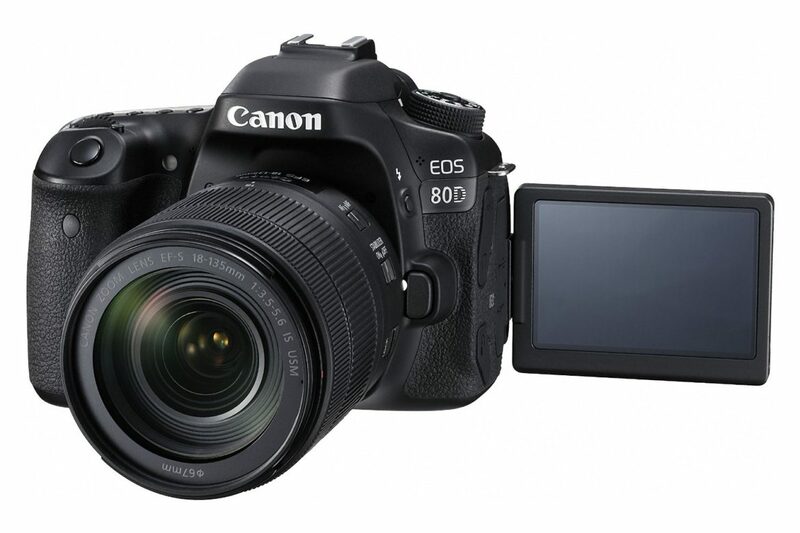 The Canon 80D has a 24.0MP APS-C (22.5 x 15 mm ) sized CMOS sensor and features a DIGIC 6 processor. You can shoot at a maximum resolution of 6000 x 4000 pixels with aspect ratios of 1:1, 4:3, 3:2 and 16:9. If moving objects or subjects are your main focus then the 80D is one of those digital cameras that does not let you down. Furthermore, the 80D has a native ISO range of 100 – 16000 which can be boosted to 25600 and it can save files in RAW format which allows for a wider room for post-processing. But, what about videography? For accurate and smooth auto-focus in your videos, Canon incorporates Dual Pixel AF Technology. You can record your videos up to a resolution of 1920 x 1080 at 60p, 30p, 24p fps. You can save in MPEG-4 and H.264 formats. This is a Full HD resolution camera. Unfortunately, it does not support 4K resolution. Moreover, the 80D has a built-in stereo microphone and a mono speaker. Also, it has a port for an external microphone and a headphone port for connecting external headphones. These features make the Canon EOS 80D an extremely suitable camera for high-quality videography. This camera made the list of best Canon semi-pro cameras. 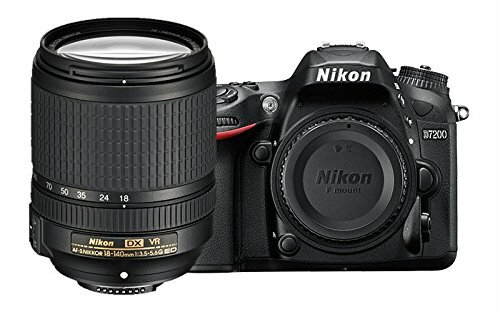 A Nikon semi-professional camera, the Nikon D7200 is a close competitor in the race of semi-professional DSLR cameras. 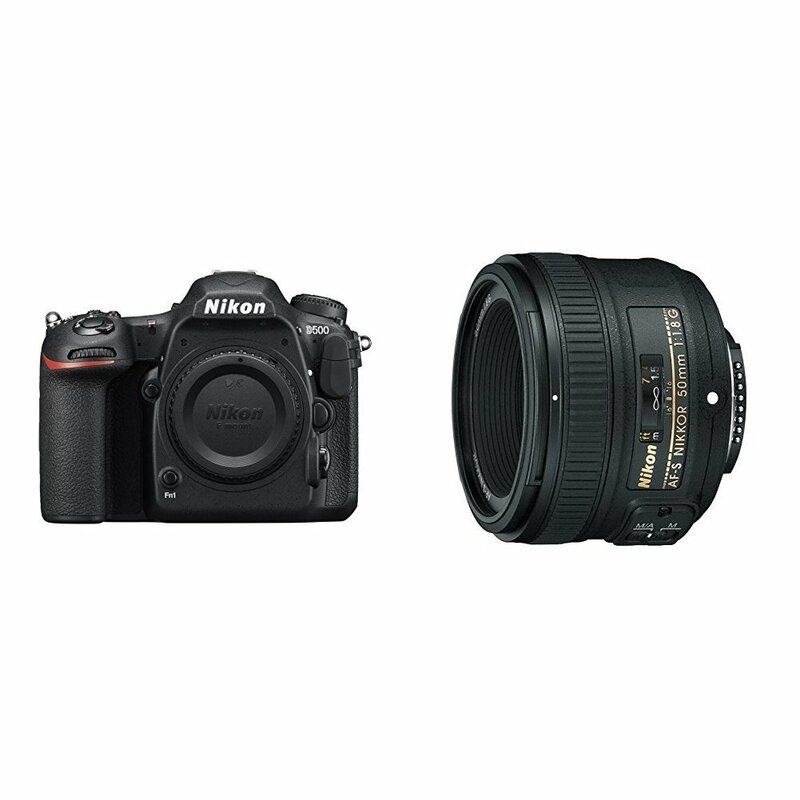 The Nikon D7200 has a 24.0MP APS-C (23.5 x 15.6 mm ) sized CMOS sensor and features an Expeed 4 processor. You can shoot at a maximum resolution of 6000 x 4000 pixels with aspect ratios of 3:2 and 16:9. The D7200 has a native ISO range of 100 – 25600 and extends up 102400. It can save files in RAW format which is important for those interested in post-processing. This camera has environmental sealings on its body which makes it a weather resistant camera. If you like outdoor photography and want to be able to use your camera in extreme conditions, the Nikon D7200 works great. It made our list of best Nikon semi-pro cameras. The Canon 7D Mark II has a 20.0MP APS-C (22.4 x 15 mm ) sized CMOS sensor and features DIGIC 6 (dual) processor. You can shoot at a maximum resolution of 5472 x 3648 pixels with aspect ratios of 3:2 and 16:9. The 7D Mark II has a native ISO range of 100 – 16000 and boosts up to 51200. 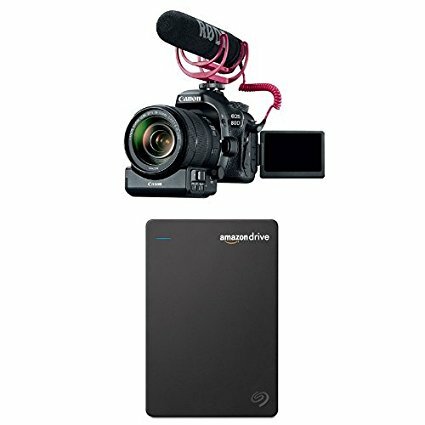 Like other semi-pros on the list, it can save files in RAW format. It features fast continuous shooting: 10.0fps, environmental sealings for outdoor use, good battery life: 670 shots. Furthermore, it has good low-light ISO and good ergonomics and handling. There’s also Dual Pixel AF for videos just like in the 80D. The Nikon D500 has a 21.0MP APS-C (23.5 x 15.7 mm ) sized CMOS sensor and features an Expeed 5 processor. You can shoot at a maximum resolution of 5568 x 3712 pixels with aspect ratios of and 3:2. Th D500 has a native ISO range of 100 – 51200 which boosts up to 50-1640000. It can save files in RAW. With the Nikon D500, you can record your videos at the highest resolution of 3840 x 2160 at 30p,25p,24p fps and save in MPEG-4 and H.264 formats. This means that Nikon D500 provides 4K (Ultra-HD) video. 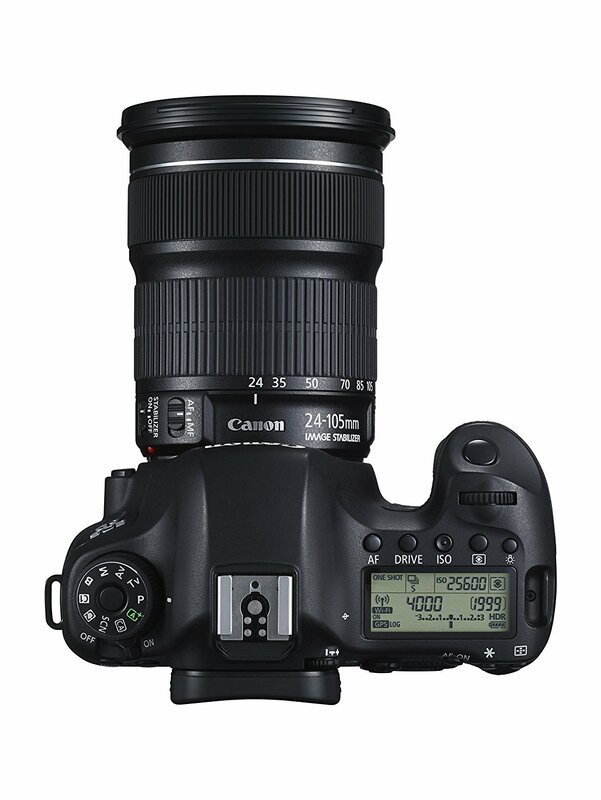 The first Full Frame Canon DSLR to make the list, the Canon EOS 6D. The Canon EOS 6D is a 20.0MP Semi-Pro DSLR camera with a Full frame (36 x 24 mm ) sized CMOS sensor. You can shoot at a maximum resolution of 5472 x 3648 pixels. Unfortunately, it does not make the 4K HD list. However, image quality and noise results are splendid. Their sensors and pixels are much larger and process captured light much better, resulting in cleaner images, especially when using high sensitivities. There’s a newer model on the market, the Canon EOS 6D Mark II. Another Full Frame DSLR, this time from Nikon. 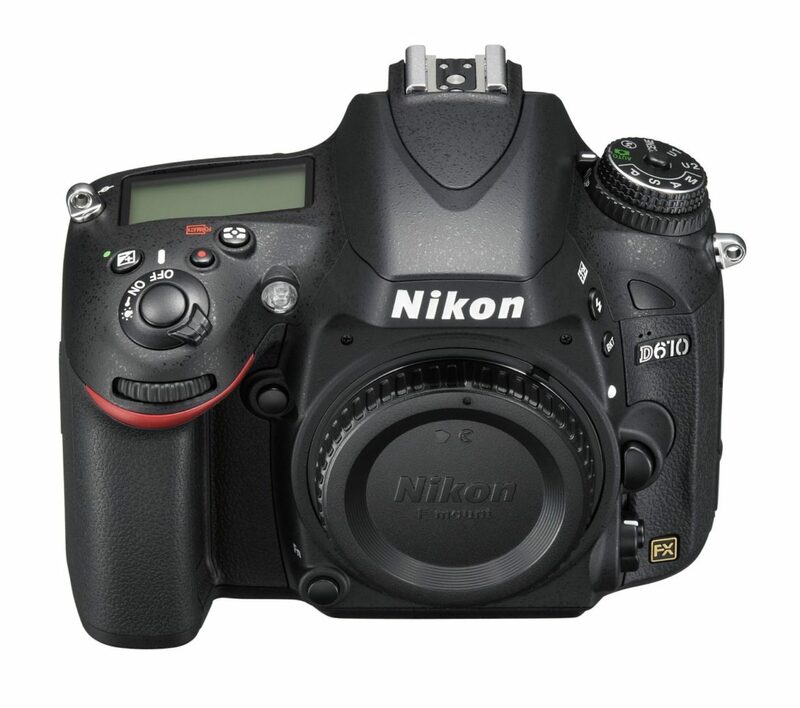 The Nikon D610 boasts a 24.0MP Full frame (35.9 x 24 mm ) sized CMOS sensor and features Expeed 3 processor. You can shoot at a maximum resolution of 6016 x 4016 pixels. It can record videos up Full HD resolution. Compared to the Canon EOS 6D, it has 4 more megapixels, 39 vs 9 AF points and 6 vs 4.5fps in burst mode. The camera itself is a professional level camera, however, the price range lets it sit comfortably in the semi-pro range. 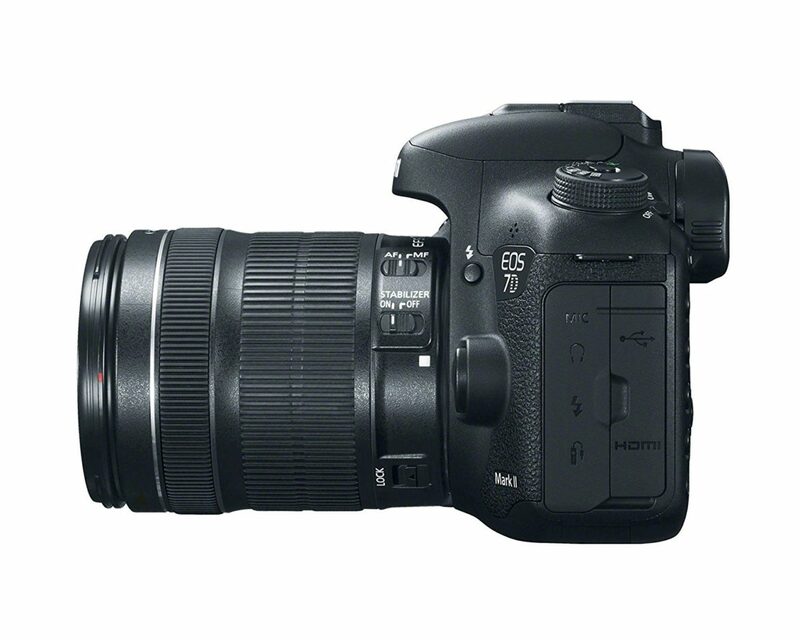 It has a CF + SD memory card slot, a slightly bigger LCD screen, and a 100% viewfinder coverage compared to 97% on the 6D.